On 18 December 2017, Dr. Karin Kneissl was appointed Federal Minister for Europe, Integration and Foreign Affairs of the Republic of Austria. Karin Kneissl was born in 1965 in Vienna. She studied law and Arab studies at the University of Vienna. She also studied at the Hebrew University of Jerusalem, the University of Amman, the University of Urbino and was a Fulbright scholar at Georgetown University in Washington, DC. Karin Kneissl is also a graduate of the Ecole Nationale d’Administration (ENA) in Paris. From 1990 to 1998, Ms Kneissl held a number of posts in the Austrian diplomatic service, including in the cabinet of then foreign minister Dr. Alois Mock as well as at the Austrian embassies in Paris and Madrid. Since 1998, Ms Kneissl has worked as an independent lecturer in the areas of international law, Middle Eastern history and the energy market at various universities, amongst others the Diplomatic Academy of Vienna, the International Centre for Human Sciences in Byblos, Lebanon, and the Saint-Joseph University in Beirut. Ms Kneissl has also worked as an independent commentator and correspondent for numerous German and English-speaking print media, as well as for the Austrian state broadcaster ORF. She has authored a large number of books and publications. 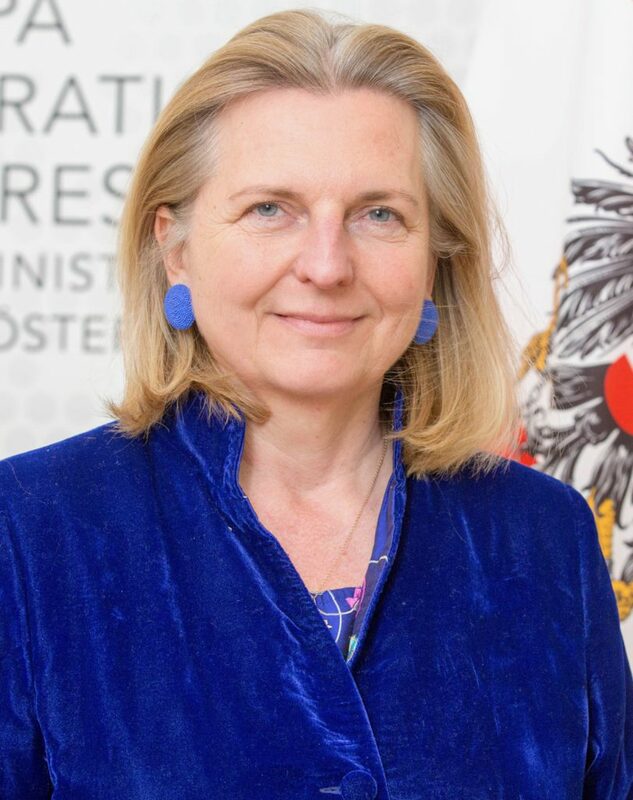 Karin Kneissl is co-founder and vice president of Whistleblowing Austria and vice president of the Society for Politico-Strategic Studies, STRATEG. She speaks various foreign languages: Arabic, English, French, Hebrew (basic), Italian, Hungarian (basic) and Spanish.